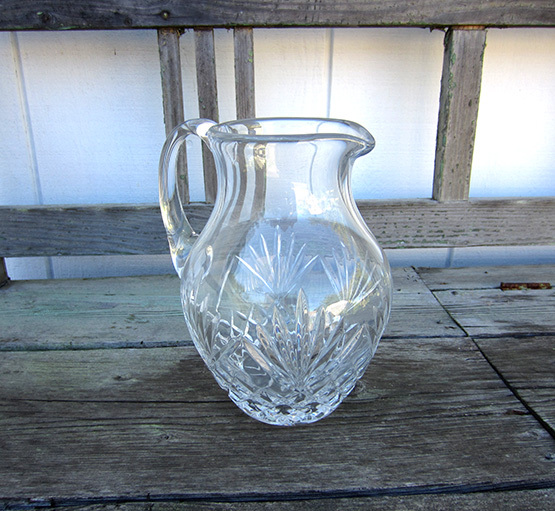 Beautiful cut glass pitcher. Wonderful for mulled wine, iced tea or water. Pitcher stands 8.5" tall and holds 8 cups.